In case you haven’t heard, last week Wilco ended their fall/winter U.S. tour in support of their new album “The Whole Love” by performing 5 shows in their hometown of Chicago. Dubbed “The Incredible Shrinking Tour”, each night built upon the one before it as the band started at the 3,500 capacity Civic Opera House and ended a few days later at the 500 capacity Lincoln Hall. Along the way, there would also be stops at The Riviera (2,300), The Vic (1,400) and Metro (1,150). While I would have loved to have attended all 5 shows, time, money and ticket availability reduced me down to only 3 of the 5 nights. Still, 3 Wilco shows are better than 2 or 1 or none, and I also happened to be in attendance at the last two nights in which the band played their smallest shows in years, probably over a decade. Each show I attended also had its own distinct vibe and set list, so I thought I’d take a few minutes to recap and review each one. Let’s go in order. It should be a known fact that I HATE The Riviera. I’m pretty confident it’s the worst of the larger venues in Chicago, and its neighbor the Aragon comes a very close second. I wound up getting tickets to this show because I didn’t buy tickets to the Civic Opera House one due to poor seating choices. 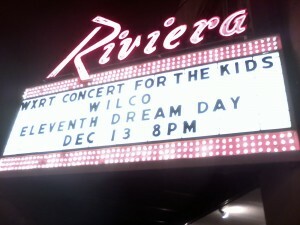 At the time the Riviera show was announced, none of the other shows were, so out of concern I’d miss Wilco performing in Chicago, I bought a ticket to The Riv. My main concerns upon arriving that evening were about the sound quality, as there are only about 2 sweet spots in the entire venue where a band actually sounds halfway decent and I’ve yet to discover them. Arriving a little late and missing opening band Eleventh Dream Day, I knew I’d be stuck in some tragic back corner of the venue where it’d be tough to see and hear. As it turned out, I ducked, dodged and snaked my way into a spot right next to the soundboard. Considering I’ve had a ban on The Riv the last 7 years and only broke it once earlier this year to see The Smashing Pumpkins, a spot next to the soundboard was a new experience for me. It also made me understand why the venue has such poor sound: you can’t hear any problems at the soundboard. Yes, for the first time ever, I had a very good concertgoing experience at The Riv. I can’t help but wonder how much of that also had to do with Wilco’s exceptionally strong live show though. I wouldn’t be surprised if that was a major factor too. The Metro show was a decidedly different show than the one I saw at The Riviera, both in song selection and in overall experience. I love the Metro and think it’s one of the best venues in town, but I’m nearly positive they oversold it for the Wilco show. Arriving late and missing the opening band, I found myself trapped either in too close quarters at the back corner of the venue, or out in the hallway by the stairs. Ultimately I settled on the hallway by the stairs, because it provided at least a glimpse of the stage and actually allowed me to breathe and move around a little. The issue was the sound. With a balcony overhead and the borders of a doorway on either side of me, there was only so much space for the sound to reach my ears, and so it was a small challenge to hear everything going on all night. 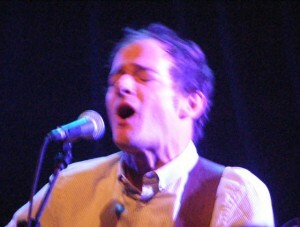 The songs came through pretty clearly, but the stage banter had a tendency to get a little lost on me. Still, there was plenty of great stuff I was able to hear, including a set that in many ways bounced all over the band’s catalogue more than ever before. First and foremost, starting with the 1-2-3 combo of “Sunken Treasure”, “Wishful Thinking” and “Art of Almost” was divinely inspired. Of all the Wilco shows I’ve ever seen, and that includes the 3 during this residency, this set of opening songs was the one that worked best. It may not have brought the energy, but there was a sobering beauty to it all. 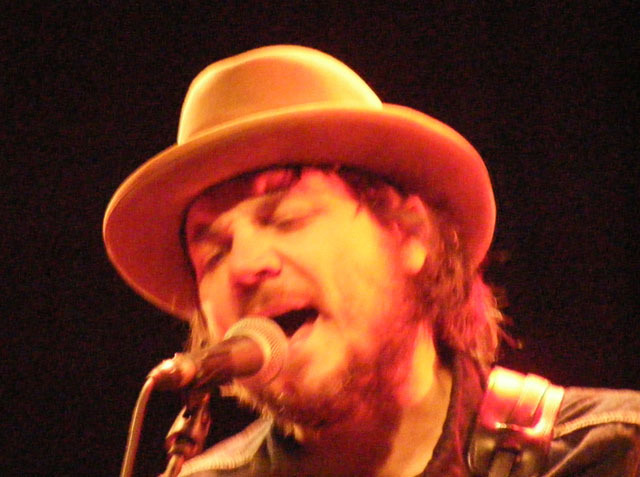 Among a handful of distinctive moments at this show, the throwback to “Shouldn’t Be Ashamed” from the first album was a small surprise to hear, as was the “deep nugget” (Tweedy’s words) “Either Way”. Then there was the black spot of “Capitol City”. I’m happy Tweedy acknowledged that people hate the song, but discouraged when he said the band was going to play it because we’d “learn to love it”. I’m still learning on that one I guess. And one of my favorite Wilco songs got played during the main set too, with “How to Fight Loneliness” bringing a somber yet beautiful air to the evening. As for the encores, those had a few tasty moments as well, breaking out classics like “ELT” and “Kingpin” (complete with audience participation). 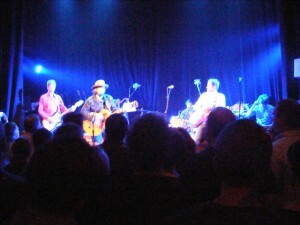 Tweedy’s son Spencer, who was at the venue for the show, was celebrating his 16th birthday that night as well, and the band and crowd sang Happy Birthday to him. They also joked around and said the band pulled their money together and bought the right to play the opening chord to The Beatles’ “A Hard Day’s Night” as Spencer’s birthday present. 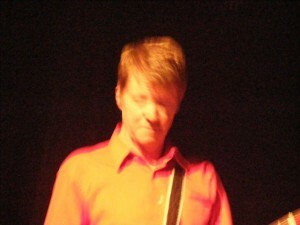 It took Nels Cline a couple tries to get it exactly right, but he eventually pulled off the chord with a perfect reverb effect. So that was fun, and having Wilco go a little Rockabilly on the single-song second encore of “Dreamer in My Dreams” was a nice evening-ending delight as well. I actually liked the Riv show a little better than this one, but felt like the song selection was more fun and crowd-engaging at Metro. Still, there was one night left to go, and at the otherwise tiny Lincoln Hall, anything could happen. This was the big one. The one I was most looking forward to. How often do you see a band that sells out 5,000 seat auditoriums and mini-arenas play at a venue 10 times as small? That’s a once-in-a-lifetime experience, and while the ticket price was twice that of any other show, for a band as grand as Wilco you can’t really allow yourself to pass it up. One of the best things about Lincoln Hall, outside of its small size, is how it’s set up. Top of the line sound system. Organized so that there are no bad sight lines (unless you’ve got some really tall people to deal with). Clean. The thing about it too was that the band couldn’t fit all of their equipment onto the stage. In fact they could only squeeze about half as much as they normally do. Playing with a reduced set of tools undoubtedly skewed the set list in a certain direction, but the band was probably already thinking of heading there anyways. By “there”, I mean into the realm of extreme b-sides and rarities. So with a position that was about halfway between the stage and the doors, off to stage right and close to the bar, I cozied up to the living room-styled set complete with house lamps and spent an evening closer to Wilco than I ever had before. Was it magical? You’d better believe it. 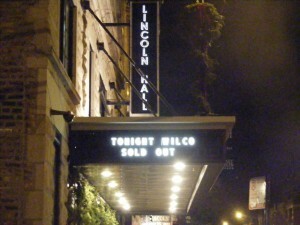 Helping to provide a full scope of Wilco’s catalogue, the fifth and final show at Lincoln Hall reached into areas nobody could have truly seen coming. I for one didn’t expect so much heavy focus on the two “Mermaid Avenue” records the band put together with Billy Bragg. Billy didn’t show up, but that didn’t stop them from doing a total of 6 songs off the 2 volumes, including “One By One”, “At My Window Sad and Lonely”, “Someday Some Morning Sometime”, and “Remember the Mountain Bed”. All the more surprising were the extreme rarities. 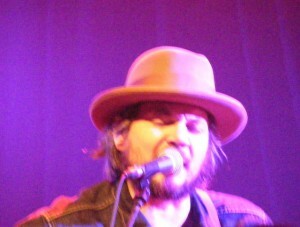 “When the Roses Bloom Again” and “Cars Can’t Escape” (or, as one woman called it, Christ Can’t Explain) were two shockers, but the real moments that had me gasping for air were “Laminated Cat” (aka a song from Wilco side project Loose Fur aka a Wilco demo otherwise known as “Not for the Season”) and also “Dash 7”, which wouldn’t have been such a big deal given it’s on “A.M.”, but the band has only performed it live one other time. So yeah, my mind was otherwise blown by that point. Yet with all these super deep cuts and rarities in tow, the evening was rather subdued. The crowd, very thrilled to be there, was excessively respectful to the band and so quiet you could hear a pin drop. Those are the best kinds of shows, where nobody is talking and distracting you from the music being performed on stage. 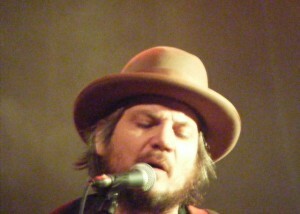 Tweedy stuck with his acoustic guitar much of the time, and most of the set was moderated with many of the sadder songs in the band’s catalogue. Of all the special moments across that evening, perhaps my favorite came from a drastically shortened but entirely reworked version of “Spiders (Kidsmoke)” built primarily around the acoustic guitar. There was magic in that version of the song, not to discount the skittish experimental bent of the original. The encores held a handful of delights as well. 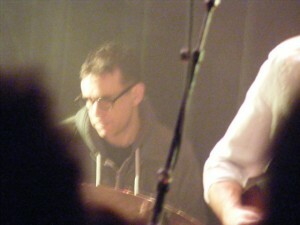 Bassist John Stirratt took lead vocals for “It’s Just That Simple”, which coincidentally also happens to be the only song in the Wilco catalogue written by him. I was also excessively pleased to hear “Airline to Heaven” and “California Stars” as well. One of my favorite Wilco songs of all time that I hadn’t heard in the 3 shows I attended was “Misunderstood”, and as the first encore wrapped up, I became scared it wasn’t going to happen. Of course it did, starting off the second encore with a bang. And to close out the night, Tweedy reminisced for a moment about Lounge Ax, a grand concert venue that was located just a few doors down from Lincoln Hall in a time before Lincoln Hall even existed. I’m well aware of the legendary acts that played shows at Lounge Ax, including Wilco and Uncle Tupelo, and the sadness that still prevails over the Chicago music scene in its absence. It shut down in 2000, before I ever had a chance to go see a show there. Part of me wishes I could have seen the glory that was Lounge Ax. But after talking for a moment about how much he loved that venue, Tweedy and the band dedicated the final song of the night to Lounge Ax, “On and On and On”. It was entirely appropriate to end on that note, a song about the permanent memories created by the impermanent. Lounge Ax may be gone, but it will live on so long as people remember it and talk about it. Wilco’s incredible show at Lincoln Hall that fateful Sunday night in December 2011, that will live on too, in my memory and the memories of everyone else in attendance. It was a special night, and I wouldn’t take it back for anything in the world.